Staying warm in winter requires the proper gear. Blend into your surroundings with this winter parka uniform. German Army parkas were reversible, one side white and the other field gray, and were commonly issued with tan felt boots. 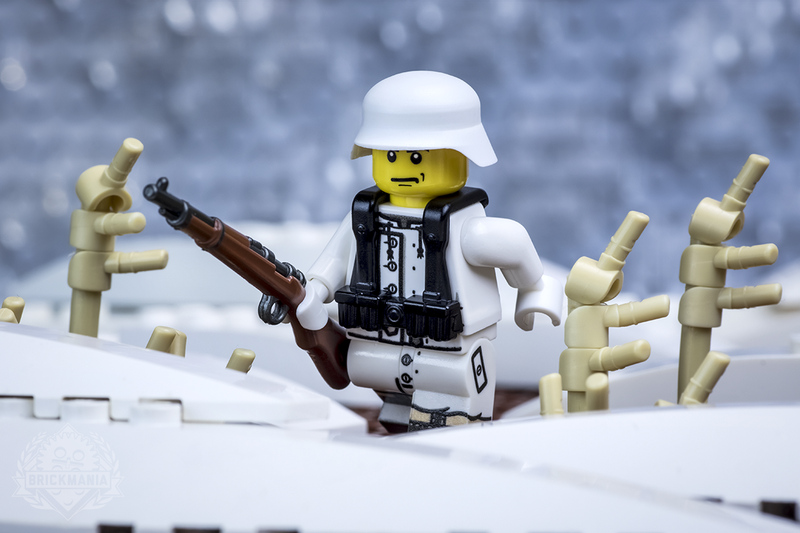 Designed to be paired with BrickArms® German Field Gear; this minifigure is easily customizable for a variety of German loadouts. Get the BrickArms vest here!